The eurozone’s single currency, the euro, has been a serious drag on the economic growth of almost every member of the bloc, according to a study by German think tank, the Centre for European Politics (CEP). RT reports that Germany and the Netherlands, however, have benefited enormously from the euro over the 20 years since its launch, the study showed. The currency triggered credit and investment booms by extending the benefits of Germany’s low interest-rate environment across the bloc’s periphery. However, those debts became hard to sustain after the 2008 financial crisis, with Greece, Ireland, Spain, Portugal, and Cyprus forced to seek financial aid as growth slowed and financing became scarce. 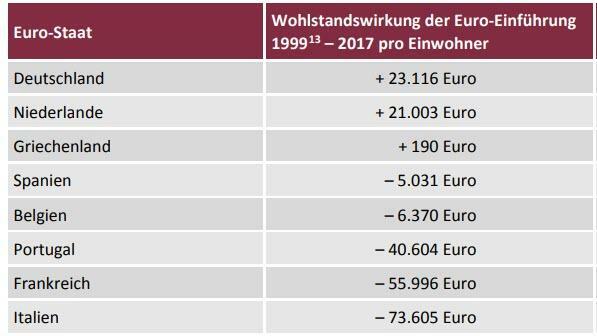 According to CEP, over the entire period since 1999, Germans were on average estimated to be cumulatively richer by €23,000 ($26,120) than they would otherwise have been, while the Dutch were €21,000 ($23,850) wealthier. 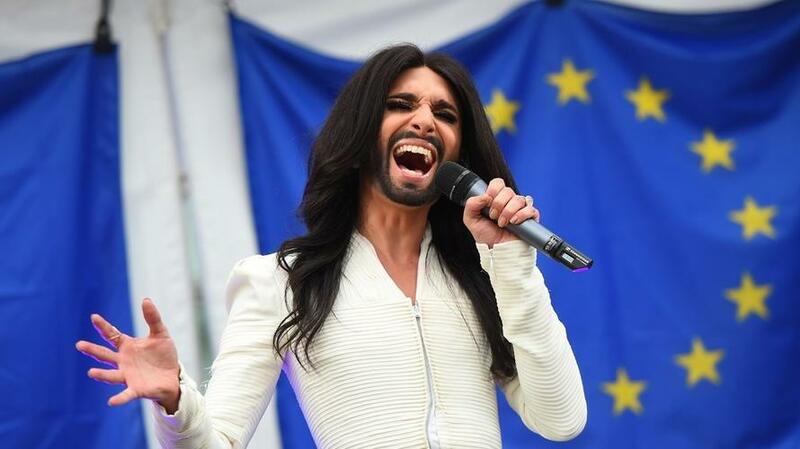 To compare, Italians and French were each €74,000 ($84,000) and €56,000 ($63,600) poorer, respectively. The survey did not include one of Europe’s fastest-growing economies, Ireland, due to a lack of appropriate data. Study authors Alessandro Gasparotti and Matthias Kullas said most eurozone members had enjoyed periods during which the currency union had been net positive, but these were far outweighed by the periods when it dragged on growth. Greece was a partial exception, they added. “In the first few years after its introduction, Greece gained hugely from the euro but since 2011 has suffered enormous losses,” the authors wrote, explaining that over the whole period, Greeks were each €190 ($216) richer than they would have been. The study concluded that since the loser countries could no longer restore their competitiveness by devaluing their currencies, they had to double down on structural reforms. Spain was highlighted as a country that was on track to erase the growth deficit it had built up since the euro’s introduction.